Butterflies enchant us with their beauty. The way they float effortlessly on the breeze captivate our attention. Butterflies are often depicted in jewelry items, made from delicate silver or exquisite gold. They are painted in soft pastels or vibrant colours. They carved from wood or gently formed from clay or porcelain. It does not matter what they are made from, they remain an object of beauty and they are all a little fragile. It is a quality we as humans share with these sweet creatures. Fragility. We are all a little fragile. On the outside we often seem strong and even a little fierce, but beneath that hardy exterior most of us are fragile to some degree or other. However, in this fast-paced, dog-eat-dog world we have become insensitive to people's feelings. We expect them to handle anything that is thrown their way. Being rude has become the new "funny". Our so-called "speaking-the-truth" is nothing more than an excuse for being tactless. We disregard people who are sensitive, and view them as being weak. Relationships and friendships are fragile, because they are made up out of flawed and fragile people. Often we take our relationships and our friendships for granted. We fail to recognize them as precious and not easily replaceable. In our easily disposable world we think that we can replace any relationship as easily as we can pick a can of beans off the supermarket shelf. We believe -erroneously- that being in a relationship entitles us to treat our partner or friend with disrespect, selfishness and abuse, whether it be physically, verbally or emotionally. We believe it is our right to take and give little in return. However, I was brought up to value every relationship for its special brand of uniqueness. One of the things my sister-in-law taught me as a little girl was to keep your friendliness cheap, but your friendship expensive. It took me a very long time to understand that, but today I still apply that rule to my relationships. I am friendly towards anybody crossing my path, but quite careful when engaging in any relationship. However, once I have formed a friendship, I try to be a friend for life. Even when distance separates me from my friends, I keep them in my heart and prayers. Every relationship, every friendship I have ever had, has been valuable to me. I carry their fragrance with me, entangled within my soul. I hold them still dear. I have learned from them, grown through them and celebrate them. Companionship - togetherness, sharing similar interests as well as supporting the other person's interests. Mutual respect and trust are key components of any companionship. Conversation - Being honest and open with one another. Telling your friend/s how you feel, but also listening. Compassion - It goes beyond caring about the other person, it involves being tolerant of their faults, forgiving their mistakes and being sensitive to their issues. Comedy - Laughter is the best medicine, they say. Relationships need humour. Being able to laugh at ourselves, each other as well as with one another is essential to our well-being. Laughter relieves stress. A smile can reach across a divide. Humour can strengthen the bonds of a friendship. Counsel - this is a very valuable part of any relationship. Advice from somebody who has our best interests at heart is valuable beyond measure. Loving guidance gives us a feeling of security and worth. Unfortunately, some relationships are not meant to last. Some are only seasonal. People pass through our lives for a brief moment, like a shooting star. Even these I value, although they often leave me sad. They leave with a part of me. I very seldom forge friendships without caring deeply. My mother taught us to be careful with people's feelings lest we trample their wings, thus I try to tread softly through their lives. 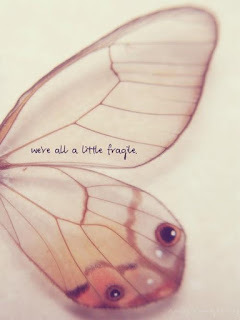 I try to be a balm for their hurt and a breeze beneath their fragile wings. I always try to let the sun into their lives, and to help them to fly away from the shadows. Thus, today I would like to say thank you to my Lifetime friends, I love you, you are simply amazing, even if we so seldom spend time together, you are always within my heart, my fondest memories. To my friends of a season, be it Spring, Summer, Winter or Autumn, the scent of you will always linger, you still fill my thoughts with the beauty of your being. And those of you who passed through my life for a reason, I hope you too met me to fulfill a purpose in your lives. Be blessed one and all!